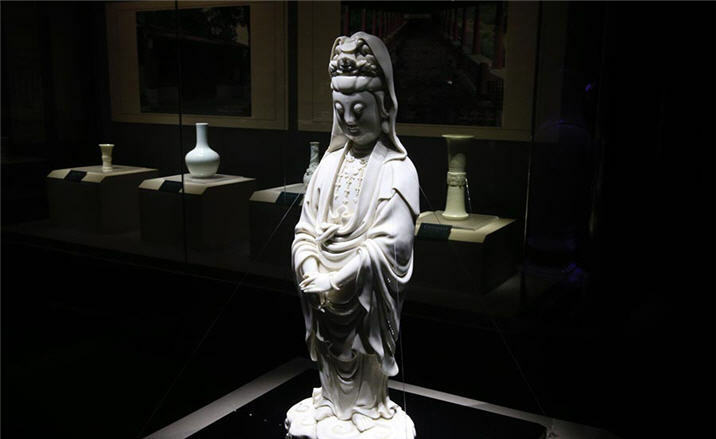 An exhibition of 70 refined Dehua white ceramics dated Ming (1368-1644) and Qing (1644-1911) dynasties are on show at the Banxi Lou exhibition hall in Beijing's Summer Palace on 12, April, 2017. The white porcelain produced in Dehua, of eastern Fujian province, is traditionally termed "blanc de chine" (French for "white from China") for featuring a milky or pale white glaze, smooth texture and elegant feel. The white ceramics are from the collection of Fujian Museum in the province's capital Fuzhou. They are categorized into four sections according to function: figures, playful things, study objects and dinning vessels. The show will run till 12, July.